England gave a fantastic farewell to Alastair Cook as they thrashed India by 118 runs in the fifth Test to win the series with 4-1. The batting of KL Rahul and Ajinkya Rahane in the first session gave India the hopes of drawing the series, but once Rahane got out, it was all hunky dory for England. It was going to be an emotional day at The Oval as Alastair Cook had announced earlier that it would be his last Test. After Joe Root won the toss, the script unfolded exactly the way as it has been for the longest time in English cricket - a Chef special to start with. While Indian bowlers kept the nagging line to trouble English batsmen, Cook made crease occupation a relatively trouble-free work. It, in some way, mirrored English cricket over the last five years and once he departed for 71, it became evidently clear. The wicket was placid and sluggish, but it suddenly seemed more dangerous as Joe Root and Jonny Bairstow departed without scoring with England throwing the towel in. From a position of 133/1, they were reduced to 134/4 and when the stumps were drawn, the hosts found themselves in a rather precarious situation of 198/7. However, India failed to keep the momentum in their favour despite finding some lateral movement in the morning. The perennial problem of tail wagging resurfaced as Adil Rashid and Jos Buttler pushed the score past 200 quickly as 45 runs came in the first hour of the play itself. Later, Buttler reached his half-century off 84 balls and he partnered Stuart Broad, which eventually took them to a 332-run lead. However, India's top-order was in no mood to take a lesson or two from their opposition lower-order as Shikhar Dhawan failed again. KL Rahul and Cheteshwar Pujara although scored 37 runs each as they stitched together 64 runs for the second wicket. However, the English bowlers got back into the action after that and picked up crucial wickets to reduce India to 174/6 at stumps. India needed someone to steady the ship and Jadeja, unbeaten overnight, proved to be the man for the occasion. He scored a fine, counter-attacking unbeaten 86 to help India score 132 runs for the last four wickets and reduced the lead to just 40 runs at the end of the day. 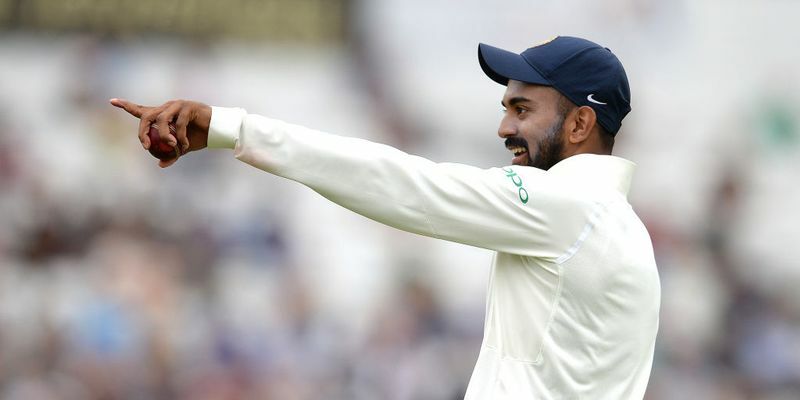 In the process, Jadeja got excellent support from debutant Hanuma Vihari, who had earlier gotten two lives, as he scored a half-century as well. Vihari, getting the better of his initial jitters, played to his strength and left all the outside off stump deliveries to score as many runs as he did. After India were bundled out for 292, England were helped by Cook’s amazing composure and mental strength as he helped put his side in a strong position by the close of the third day, with England leading by 154 runs with eight wickets remaining. Playing his last international match, Cook, the mighty servant of English cricket, was given a standing ovation at the start of the day, but that hardly faltered the man as he kept on scoring against the Indian bowlers, who suddenly forgot the lengths. And when he reached three figures, the entire ground stood to applaud and Joe Root threw his helmet and gloves to celebrate his former skipper. A legacy was well set, but it was not to stop anytime soon. Cook was unperturbed by all the emotions around him and until, Hanuma Vihari, of all people, managed to extract an edge off his blade, he scored 147 runs with England leading by 361 runs. His dismissal brought a sudden collapse and Joe Root finally declared at 423/8 with target for India being 464. A win was virtually impossible, but India at least would have hoped for a draw to save themselves from the ignominy of 4-1 series loss. But, they found themselves reduced to 2 /3 at the very beginning. KL Rahul and Rahane did well to guide India to 58/3, trailing England by 406 runs with a 4-1 series loss seeming all but sure. The way KL Rahul batted throughout the series, there was no hope from them to see off the whole day. Virat Kohli had already gone back to the pavilion and it needed more than a majestic effort from the middle-order bat of Rahul and Rahane to reduce the series loss margin. And the duo decided to pull off their best to the final day of the tour as they stitched together to add 118 runs for the fourth wicket. Once Rahane was dismissed, Vihari followed suit immediately. But upon the arrival of Rishabh Pant, the actual show started as the duo packed a punch to score runs at a brisk pace. While the duo completed their individual centuries, for a moment, they threatened England to take the game away from the them. However, Adil Rashid came to the fore and kept on his partnership-breaking spree intact by sending both of them back to the pavilion. Then there was a small fightback by Jadeja and Ishant, but it was just a flash in the pan as the hosts registered a 118-run victory to win the series 4-1.